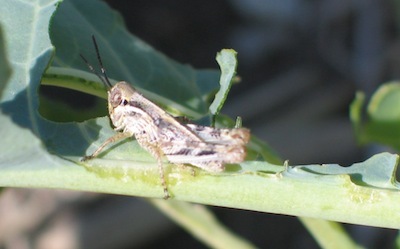 Bertha armyworm moth counts continue to accumulate across the Prairies. Many areas are now at moderate to high risk, and adult numbers will continue to build this week. 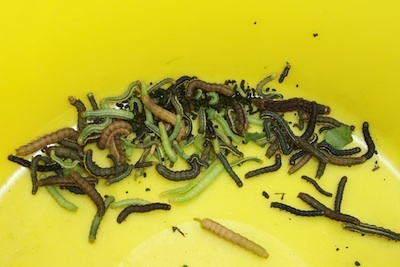 Adult counts can hint at the potential level of feeding by the larvae — the actual armyworms — starting about two weeks after the first wave of adults showed up in traps. —Go out in early morning or late evening when larvae are mostly active. —Mark out an area a quarter-metre square (50 cm by 50 cm) and beat the plants growing within that area to dislodge the larvae. Count the larvae that have fallen to the ground and multiply by 4 to get the number per metre square. 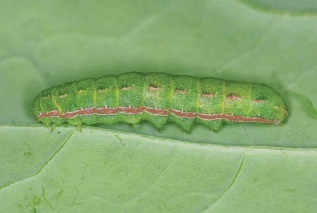 Larvae will hide under leaf litter and in cracks, so check closely. —Sample at least 5 locations (10-15 is recommended) a minimum of 50 metres apart. Do not sample headlands and areas within the crop that are not representative of the field. Use the average number of larvae at the sites surveyed to determine if the economic threshold has been exceeded. —Scout each field. Adjacent fields may have very different larval densities, depending on how attractive the crop was when the moths were laying their eggs. 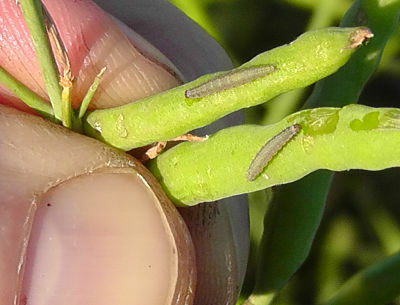 Adjacent fields may also have different-sized larvae, depending on when the eggs were laid. —For best results, apply an insecticide as soon as economic thresholds are reached. A single well-timed application of any registered insecticide is usually effective. 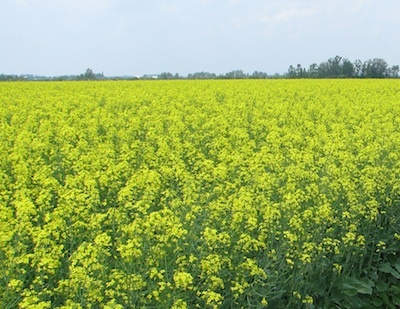 Check provincial crop protection guides for registered insecticides. —Apply insecticides early in the morning or late evening when the larvae are actively feeding. Do not apply during warm afternoons. —You may notice signs of sclerotinia infection down in the canopy around rotting petals. —Side branches are starting to flower. 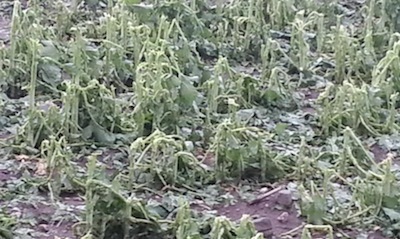 Canola destroyed by hail could be harvested as forage, replaced with a short-season barley silage crop, or turned under for green manure.